Established in 1973 with the purpose of preserving the South African Air Force's rich aviation history, the SAAF museum has accumulated an impressive collection of over 150 complete aircraft and many more aircraft parts over the 35 years of its existence. The majority of the collection is housed at the main Museum at Air Force Base Swartkop. Satellite branches exist at AFB Ysterplaat in Cape Town and at AFS Port Elizabeth. Fittingly, the museum is situated at the site that was the South African Air Force's first and for a long time only airfield. The fledgling SAAF took over the airfield in April 1921, a year after it was founded in 1920. Today, the Museum occupies the six Northern hangars at Swartkop and most of the surrounding buildings. 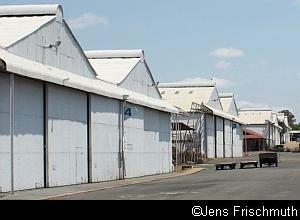 The hangars are the original ones built in the 1920s and are of historic significance themselves. Besides preserving historic aircraft, the Museum collects and preserves other aviation-related items such as fire fighting vehicles and equipment, petrol browzers, radar and radio equipment, missile defence systems and security equipment. The Museum has a sizable collection of photos and logbooks and other valuable memorabilia. It strives to collate and document the history of the Air Force so that it can be preserved for future generations. Sadly, much of South Africa's early aviation history was lost as there was no concerted effort to preserve specimen in the early days. The first museum that preserved aircraft was the South African National Museum of Military History, which was opened in 1947. Its collection from the early days includes three complete World War I era aircraft (including the SE.5a, pictured right), as well as seven World War II era aircraft. 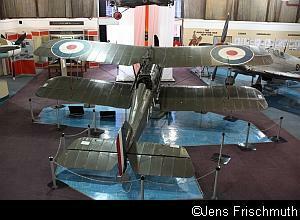 It took until 1973 before the SAAF got its own Museum. The driving force behind its establishment was Col. Peter McGregor. Had the museum been established a few decades earlier, a lot of priceless planes could have been saved from scrap yards and the gradual decay of the elements. From then on, at least, examples of aircraft types retired from service would be preserved for future generations. Because of the late start, the majority of the collection portrays the most recent part of the SAAF's history. The first aircraft received by the museum was a Lockheed PV-1 Ventura, and the first planes acquired by the Museum were housed at AFS Snake Valley, where the Museum got the use of half of No. 13 Hangar in November 1973. The Museum moved to Lanseria Airport when the Museum was given notice to vacate the Snake Valley hangar in August 1976. By the end of the 1970s, its collection included a Fieseler Storch, Spitfire IXe, Beech C-45, Sikorsky S-55, Percival P40 Prentice, Canadair Sabre, de Havilland Tiger Moth and three Vampires, as well as numerous incomplete airframes. From the early 1980's, part of the growing collection started to arrive at Swartkop and part of the Museum was back in Hangars 9 and 14 at Snake Valley. Gradually, the original six hangars North of the control tower at AFB Swartkop were vacated and handed over to the Museum. 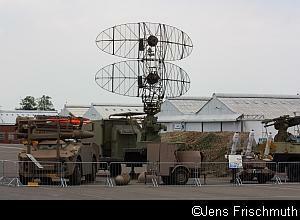 The 1980s also saw the establishment of satellite branches at AFB Ysterplaat in Cape Town and AFS Port Elizabeth and saw the establishment of a civilian support organisation, the Friends of the SAAF Museum, in Johannesburg. Important acquisitions during the 1980s included a Percival Provost, Airspeed Oxford and a North American P51D Mustang. The Defence Force's rationalisation of the early 1990s brought many aircraft to the Museum, which was now spread between Swartkop and Lanseria. These included Mirage IIIs and F1s, Buccaneers, Canberras and a Wasp, Super Frelon, Douglas DC-4, Bosbok and Kudu each. 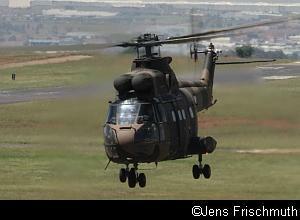 The SAAF's relocation from Lanseria in 1991 saw the last of the Museum exhibits transferred to Swartkop and the unit was finally amalgamated when the SAAF Museum was officially opened at the base on 15 May 1993. As part of the proceedings, a Transall C-160 was delivered by 28 Squadron and this was followed by a Dakota, Impala Mk I and II, two Harvards and several Pumas. The most recent acquisitions include a Boeing 707-328C, two airworthy Alouette IIIs and three airworthy Impalas. The Impalas, like the airworthy Mirages, are housed at AFB Hoedspruit and maintained there on behalf of the Museum. Part of the Museum's task is to keep flying examples of some of its historic planes and the Museum has undertaken the painstaking task of restoring various aircraft to flying condition. Often, restorations were done in conjunction with operational squadrons. Many of the restored planes are still in the air today, although some were lost because of mishaps over the years - the Avro Shackleton Mk3 #1716 (Pelican 16) was lost to the Saharan Desert after being forced to crash-land there in 1994 after suffering multiple engine failures, the Sikorsky S-55 was extensively damaged during a forced landing at the South African National Museum of Military History in 1995, the Spitfire was extensively damaged in 2000 at AFB Swartkop after crashing following an engine failure and the P-51 Mustang was damaged during an incident at AFB Waterkloof when its undercarriage failed to lower in 2001. 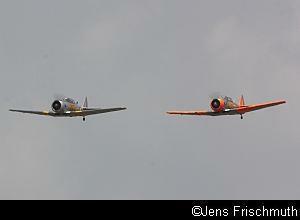 At present, the museum maintains about 25 airworthy aircraft at AFB Swartkop. These include a couple of Harvards, two Alouette IIs and IIIs each, two Vampires and Kudus, as well as a Canadair Sabre, Piaggio Albatross, Bosbok, Puma, De Havilland Chipmunk and a C-47 Dakota. Many of these planes are flown regularly at the Museum's monthly flying days and the Museum's aircraft participate in various air shows throughout the year. Together with the few planes flying at the satellite branches and the fast jets at AFB Hoedspruit, this is the largest flying fleet of historic aircraft of any state funded Air Force Museum in the world. Below is a photographic record of the majority of the Museum's aircraft types. More information on the Museum, including visiting hours and directions on how to get to the museum, can be found at the Museum' s official website, www.saafmuseum.co.za .